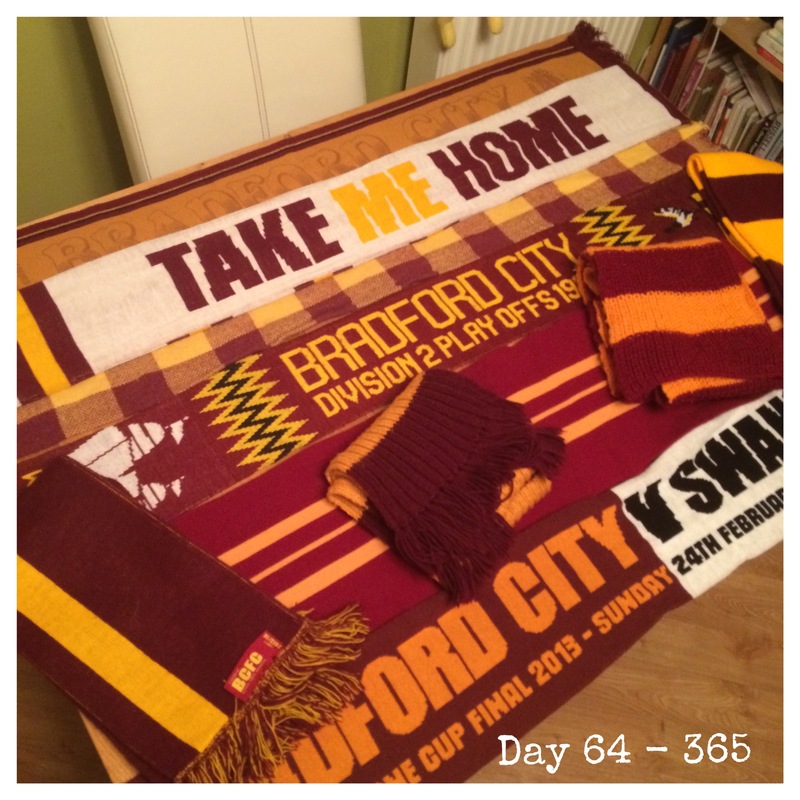 Yet again, I return to my beloved Bradford City for today’s “365” image. As the club prepare for our first FA Cup Quarter Final since 1976, they have called on every fan to display a City scarf before the match on Daturday. The aim is to turn Valley Parade into a sea of claret and amber. To promote this, they have begun to use the Twitter hashtag #ScarfParade. So, I dug my scarves out. In the 35 years I have followed City, I seem to have acquired these 10 examples.